What if everything you’ve ever known, down to what you are, was a lie? Growing up in the enchanted kingdom of Dualsing, seventeen-year-old Lady Serafina has always known she’s different. Her fae power never manifested itself during puberty, and her parents treated her like a tolerated houseguest rather than family. Even her childhood sweetheart, Crown Prince Eldon, distanced himself the moment he was old enough to know the secret about Serafina that everyone in their world seems to know—except her. Now her upcoming birthday is being treated as a national holiday by the very people who have neglected her and Serafina is developing abilities that feel terrifyingly right, but aren’t fae power at all. As she starts to investigate her origin, Serafina has no idea she will be setting in motion events that will have far-reaching consequences not just for herself, but for all the planes. Note: BEFORE VENGEANCE is a prequel of VENGEANCE BE MINE. 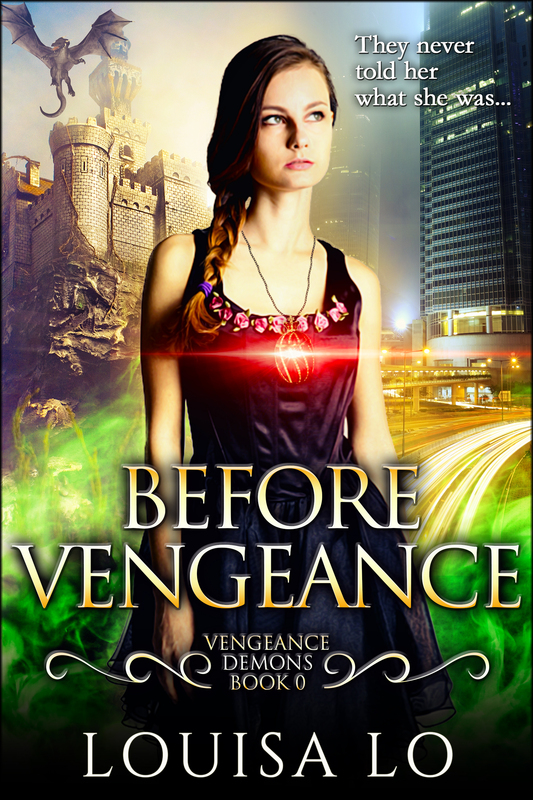 Check out the reviews for BEFORE VENGEANCE at Goodreads and your online retailers.